AirKrete Insulation – It’s Non-Toxic and Fireproof! AirKrete is the most environmentally safe insulation product on the market. It is a mineral based non-toxic insulation, environmentally friendly and non-allergenic, which can be installed in retrofit or new building projects. It’s also Fireproof! AirKrete is non-ignitable, has zero smoke production and a melting point of 5,500F! 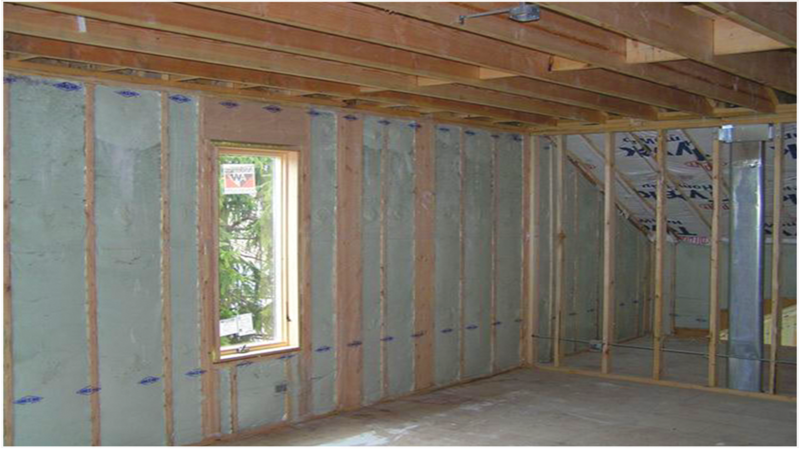 When you insulate your home with AirKrete the walls, ceiling and floors won’t burn. No more rats or roaches! Mice, rats, squirrels, bats, snakes and bugs will all move out when AirKrete moves in! AirKrete is a natural desiccant so pests can’t nest or survive in AirKrete or they’ll mummify. Installers love watching pests literally crawling out of the walls with their larvae when they are spraying AirKrete. Never be concerned about mold again! AirKrete’s desiccant properties are a natural mold inhibitor and have shown in studies to be resistant to mold growth at both 75% and 95% relative humidity. AirKrete insulation provides a sound barrier rivaling the quiet of recording studio acoustics. It has NO hazardous materials of any kind! It is non-allergenic and 100% free of asbestos, CFC’s and formaldehyde, and all other carcinogenic fibers. AirKrete is made with air, water and MgO (Magnesium Oxide) cement, the same mineral used in vitamin and mineral supplements. Once removed from its building enclosure it is 100% biodegradable! When AirKrete is installed in your home or business it produces no toxic fumes, noxious gasses or odors, which means no danger to animals or people. So no need to move your pet or get out of the house during installation, makeing AirKrete the perfect insulation for those with chemical sensitivities or for those who are concerned about cumulative chemical exposures. Recent studies have shown that AirKrete’s main ingredient MgO absorbs Co2 (carbon dioxide.) Therefore AirKrete activates a counter action to the global warming effect by scrubbing Co2 from the atmosphere! An Investment that Pays for Itself! AirKrete is a long-term investment that over time pays for itself whether in new construction or as a retrofit on an existing building. Evidence has shown that the majority of customers save 50% on their energy bills, and it’s outstanding thermal performance will save you money year round. This makes a big difference over the long run and can also increase the value of your home! At the time of installation, its shaving cream consistency fills all cavities so there are no gaps, and after it cures, AirKrete is an ultra lightweight MgO cement, which is 100% non-settling with 0 shrinkage. This insures that it maintains a long-lasting, high insulation R-value of R6 per inch. Most installations are three inches thick giving an R-value of 18. When the National Audubon Society installed AirKrete at their headquarters in NYC, they found the building used 64% less energy, saving them $100,000 year. For more detailed information please contact us for a free consultation. You can also go to AirKrete’s website which also has detailed information about their testing and approvals.